It's official! The fourth installment of Disney's Toy Story franchise will be coming to theaters on June 16, 2017. Iger gave few details of the fourth film in the franchise other than Lasseter’s return to the director’s chair. But Disney followed up the announcement, to add that Rashida Jones and Will McCormack (“Celeste and Jesse Forever”) have joined the project as writers, while Pixar vet Galyn Susman (ABC’s “Toy Story OF Terror! and “Toy Story that Time Forgot”) will produce the film. Lasseter, who serves as chief creative officer at Pixar, Walt Disney Animation Studios, and DisneyToon Studios, previously directed “Toy Story,” “Cars” and “Cars 2.” A third “Cars” is also planned with Lasseter attached. 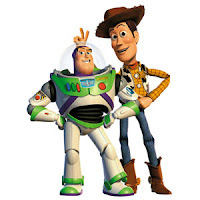 “Toy Story 3″ was released in 2010 and earned nearly $1.1 billion at the worldwide box office. Unkrich, who co-directed “Finding Nemo,” “Monsters Inc.” and “Toy Story 2,” directed the third installment.